To begin, I am extremely fortunate and thankful to have spent the past weekend in Northern California, with Yuri and Vanessa Hauswald. However, I did not fully realize the extent of sweet activities that would be rapidly occurring. The Bantam Classic is a local race to Petaluma, Calif. that is in its third year. 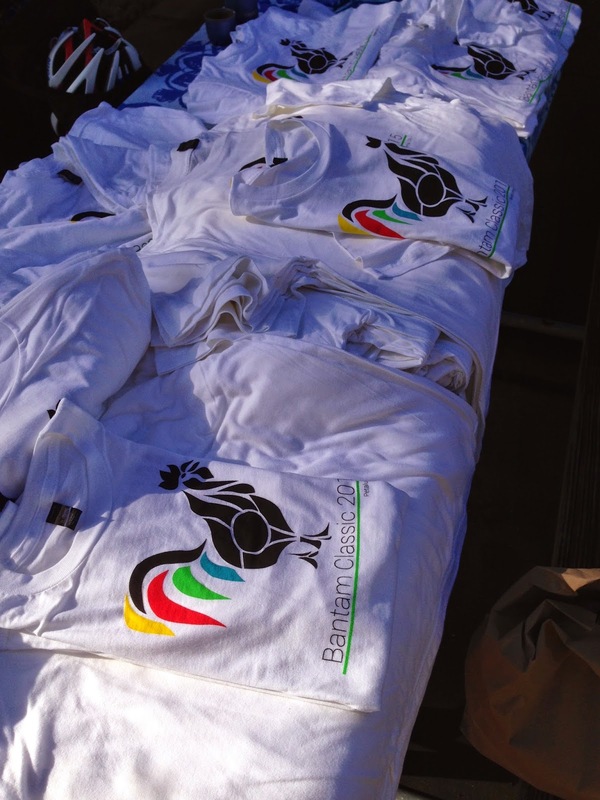 Bantam Classic branded shirts were in high demand. Leading up to the event, it was intriguing to notice the vast amount of preparation that a race promoter is responsible for accomplishing. On Friday, March 6, Yuri was consistently checking off the final necessities. I was fortunate enough to drive the full course with Yuri, for a few course markings, to give me a complete understanding of race affairs. In addition to pre-riding a majority of the course on Thursday, March 5 and Friday, March 6, I was dialed for a Bantam Classic. On the evening of Friday, March 6, Yuri, Vanessa, and I managed to knock out final administrative tasks. 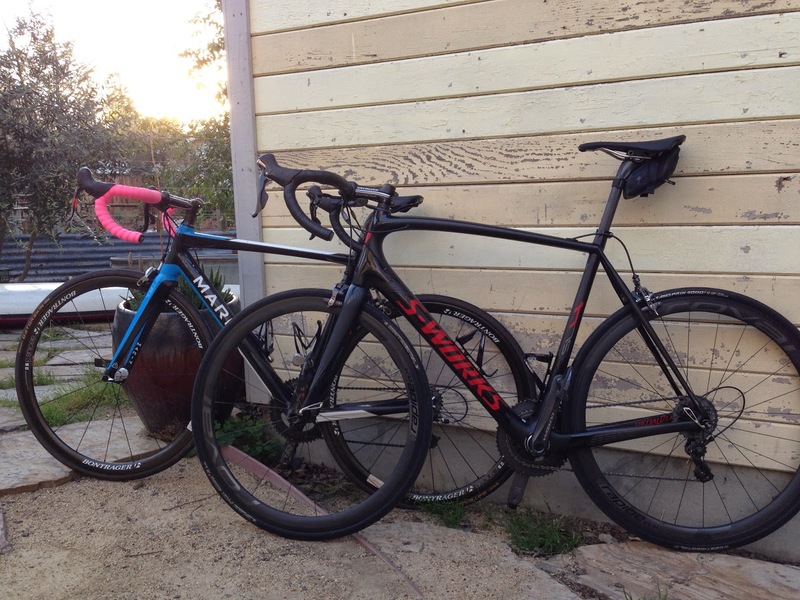 Primed Marin and Specialized bicycles. On the morning of Saturday, March 7, I was eager to take part in the third annual Bantam Classic. Yuri and I wore GU branded "toques" on a chilly morning. Along with a collection of upbeat Northern California cyclists, numerous high profile professional cyclists attended the event. The masses were assembling early. As the full collection of Bantam Classic attendees neutrally rode to the official start location, I was certainly starstruck. I rolled out behind Geoff Kabush. Kabush is a multi-time Canadian national champion, in both the mountain and cyclocross disciplines. He has also won the U.S. National cross-country and short track cross-country series multiple times, while being a three-time Olympian. I spoke with Katerina Nash. Nash is a four-time Olympian and winner of both cross-country and cyclocross World Cup events, along with being a Czechoslovakian National Champion. Levi Leipheimer was on my wheel. 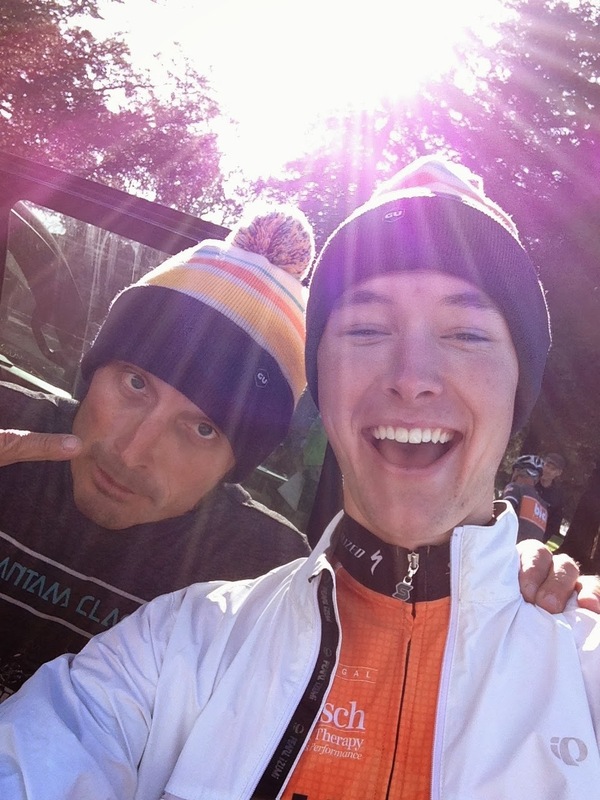 Leipheimer is a former professional road cyclist, who has won U.S. National Championship events, claimed Olympic medals, won a variety of stage races, and placed top-five in both the Giro d'Italia and Vuelta a Espana. Alison Tetrick and Barry Wicks were also in attendance. After accepting the impressive company that surrounded me, it was time to mentally prepare for a challenging event. The Bantam Classic is modeled after a Belgian classic, with punchy climbing, sharp descents, and the worst roads that Sonoma County has to offer. After the first two climbs, a select group of about 20 cyclists had formed, with some riders dwindling off the front. At times, the group was strung out, with one or two riders escaping. I was reminded of my Belgian racing experience this past summer. By now, I was very comfortable and settling in well. Both GU Electrolyte Brew drink mix and GU Energy Gels kept me well nourished and free of issues, throughout the morning. 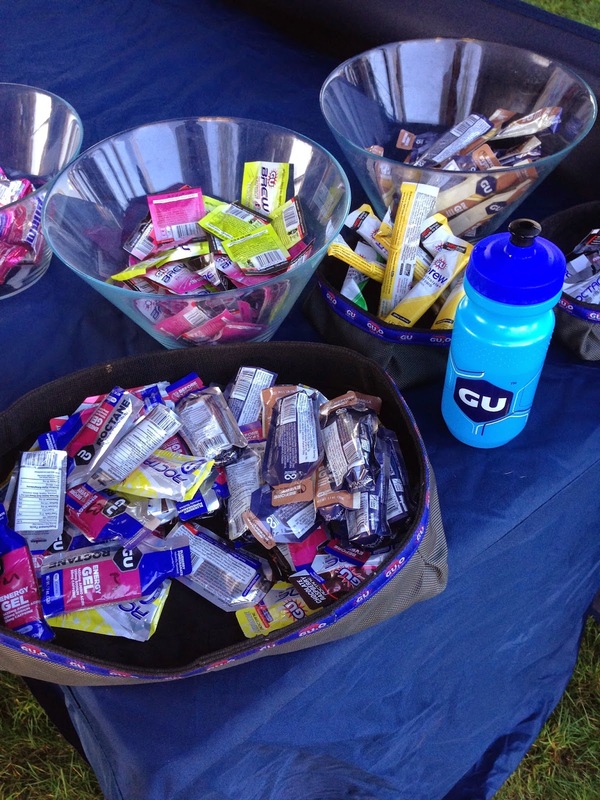 GU Energy Labs generously provided race nutrition. With a majority of the course accomplished, I was preparing to enter my fox hole and bear down, as Yuri and I discussed on the road. Levi Leipheimer was solo and he would eventually win. A limited group was second on the road. I was placed in a third group, with approximately fifteen riders. The finish took place on one final kicker, which numerous riders mistimed. Fortunately, Yuri and I possessed inside knowledge and we went late, to finish in the front of our group. I finished ninth and Yuri took 10th, for a rad day on the road! After processing the conflicting measures of sheer enjoyment and fatigue, I rolled back to Lagunitas Brewing Company, for the after-party. 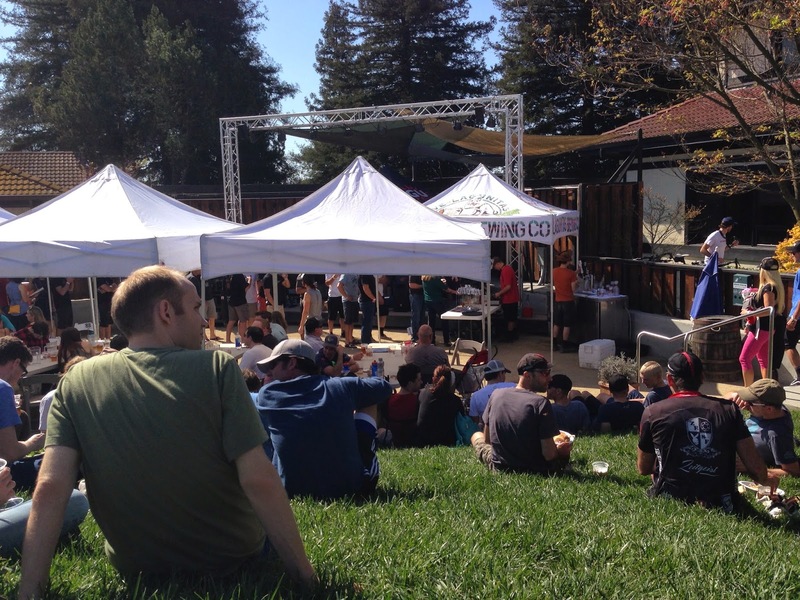 Lagunitas Brewing Company was a popping location. The post-race celebration was a time of reflection, good eats, and good people. No alcohol for me! I was excited to speak with Katerina Nash, Geoff Kabush, and Alison Tetrick, for extended periods of time, along with Brian Vaughan, who is the Co-Founder/CEO of GU Energy Labs. Katerina Nash could not be more friendly. With a full day of bicycles in the books, Yuri, Vanessa, and I cruised home, before enjoying an outstanding evening of pizza and rest. Booyah! Overall, Northern California does racing right and I had an absolutely amazing weekend!